It is applied to wounds. Get clear skin at home: Be it a man or women, everybody wants to have a clear skin, the skin that reflects back and invites compliments from friends and relatives. Your definition of clear skin is not restricted to radiant skin, but it should also posse’s virtue of flawless and makes you look attractive as well. To take care of your skin you should focus on certain points and make sure that you avoid all of them or perhaps most of them. These are few beauty stealers if they are hindering your pathway of clear skin just kick them out. These are a few factors which create problem to the skin and negatively affect it. Due to this, you will start showing early signs of aging, Alas! You never want to. There is an assortment of beauty products that are available in the market to help you with your skin but remember those products may not suit you. As every person has a different type of skin, metabolism and body respond to the creams and lotions that are sold in the cosmetic shop. Apart from avoiding above mentioned causes, you have a treasure hidden in your kitchen that can help you become a game changer and achieve flawless and attractive skin. Just steal a little bit of them from your daily cooking and apply on your skin, believe me, it will surely help you provided you are regular in its use and have faith in these products. These are natural things and nature heals, but slowly and moreover you will not face any side effects from these products as compared to creams made in the factory. Try on these natural ways and start pampering your skin with them. If you have a spot on your skin, then take a spoonful of turmeric add enough pineapple juice to make it a paste. Apply it on your face and neck till it dries. Wash it off with Luke warm water. Applying it to 2-3 times a week will help in reducing the spots on the skin. Turmeric is also used for lightening the skin tone. Mix gram flour with a little bit of turmeric and adds half spoon of mustard oil to it. Adda little bit of curd or milk to make it like a paste. Apply this paste to your skin. When half dry slowly rub this mask with your fingers onto the skin in circular motion. Remove entire mask and wash face with Luke warm water. It will help in enhancing the skin tone. 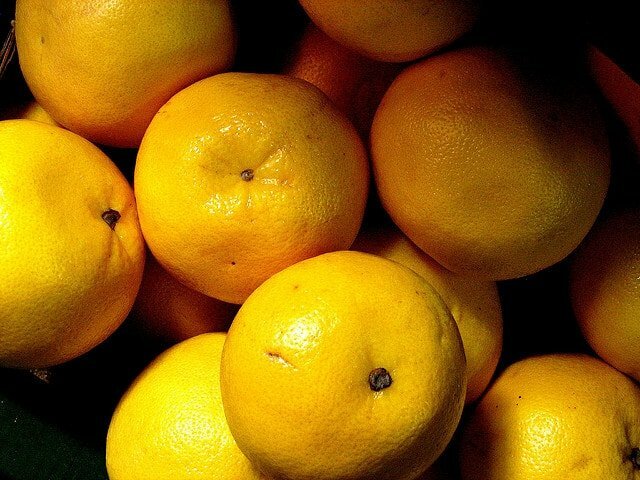 Take a fresh squeezed lemon juice and apply it on your neck and face. Leave it for 10 minutes and then wash your face with lukewarm water. If you follow it in your daily routine very soon you will realize that your skin is getting fairer with each passing day. Apart from using it with turmeric, mix it with honey, another astounding product to provide you with clear skin. Milk + honey not only help you in reducing weight, but also helps in achieving clear and tighter skin. 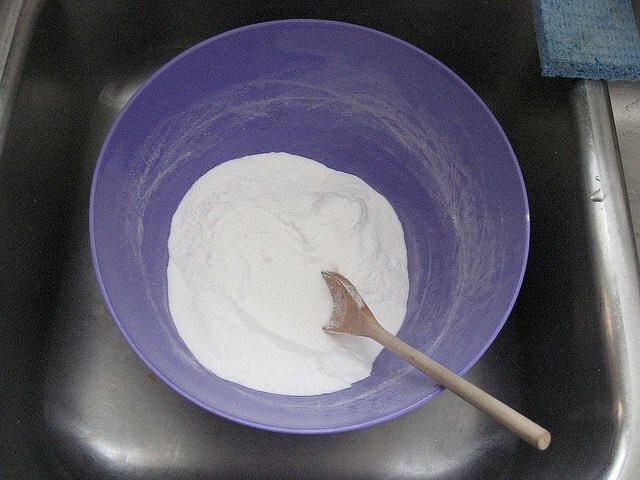 Apply this mixture for 15-20 minutes or till it dries. Then wash it off with water. Make your home-made scrub with lemon to remove dead skin from your skin.mix 2 teaspoon of lemon juice with an equal amount of sugar. Rub this mixture in circular motion on your skin. Then leave it for 10 minutes before rinsing it with Luke warm water. If you adapt this practice once a week you will enjoy glowing skin very soon. It has been always the number one choice of people who wish to acquire clear skin. Starting from the very first taste of new born it has made its importance in treating skin problems. They say; if you have burnt your skin, apply honey. It will soothe the burning sensation of the skin. It is a natural moisturizer that helps in keeping the skin soft and glowing. For better results directly apply honey to your skin everyday or on alternative days. Let it dry or keep it for 15-20 minutes. Rinse it off with Luke warm water, the natural moisturizer will help in gaining soft and supple skin. Take 2 teaspoon of milk, 1 teaspoon gram flour, add 1 teaspoon of honey to it. Mix it well and apply it on your skin; wash it off after 20 minutes. If you use this mask once a week you will get a radiant and clear skin. From age’s Aloe Vera has been used for multiple health and skin benefits. You must have seen people advising Aloe Vera juice empty stomach to soothe your stomach. Apart from healing digestive system, it is used for healing wounds as well. It not only helps in moisturizing the skin, but also stimulates cell growth. If applied regularly on the cracked heels it will help in making your feet soft and supple. Though complete Aloe Vera is full of nutrients, but for skin you need its pulp. Peel an Aloe Vera to remove its side pricks and take out a pulp from it. Apply this sticky substance on your face and leave it for half an hour. Wash it with Luke warm water. It will bring a glow to your skin and keep pimples and acnes at bay. Make a paste by adding baking soda with water or lemon juice. Clean your face and then apply this paste, gently and slowly exfoliate the skin. After few minutes, wash it off with Luke warm water. For better results follow this remedy for 2-3 times in 7 days. Another very good way of using baking soda is with honey. Mix both the things and gently massage your face with it for 1-2 minutes in a circular motion. Then rinse it off with Luke warm water. With cold water washing followed after it will help in closing the pores. Take a thick slice of cucumber and rub it on your face and neck. Leave it over night and wash it in the morning. Following this routine at night is the best way to get its maximum benefits. Mix cucumber juice and lemon juice in equal quantity. Apply it to your face and skin till it dries naturally. Wash your face with water. For clear skin follow it daily. Papaya- Papaya is another very good ingredient that compliments your skin. It helps in the reduction of scars and is full of anti bleaching properties. It is also used for healing wounds and in the removal of dead and damaged skin. Use ripe papaya to meet your skin needs. Chop it into small pieces or grate it to make a pulp. Add 1 teaspoon sandalwood and honey. Mix all these three to make a fine paste. Apply this face on your face and neck. Wait till it dries up for 30 minutes. Rinse it off with water after half an hour. Apply rose water after that gets a visible change in your skin tone. A walnut that looks like a replica of the brain has a quality of bringing a glow to dry. Dull and lifeless skin. It is enriched with antioxidants that helps in repairing the skin cells and enhance radiant skin. In it powder form it is an excellent scrub and is capable of removing deep down dirt from the skin which other cleaning product can’t do. Make a skin mask by mixing walnut powder with plain fresh yogurt. Slowly and in a circular motion, rub this mixture on your skin when it is slightly dry. Then wash your face with lukewarm water. Use this nutritious mask once a week. Make a paste by soaking 3 walnuts overnight. Grind it with and add a little bit of rose water to it. Apply it on face and leave for one hour before rinsing off with Luke warm water. Eating 2-3 walnuts with a glass of milk every morning is another good way of achieving the target of clear skin. It is known as natural screen guard as it contains SPF in it. Coconut Oil is very rich in antioxidant and widely used to tackle skin problems. It helps in reducing scars that have arisen with the burning of the skin. Moreover, it helps in keeping skin soft and moisturized as the oil penetrates deep down into the skin. For soft and supple skin, gently warm coconut oil and apply it all over your body. Take 10 minutes to gently massage it to your skin. Rinse it off with lukewarm water and see the difference in your skin. Following this tip daily will help you heal many of skin problems. This herb in your pot is rich in cooling and soothing properties. It’s refreshing taste and smell helps in healing many stomach ailments. It also fights back skin infections. To get its maximum benefit make a paste by mixing mint powder, plain yogurt and fuller’s earth in a bowl. Keep it aside for half an hour so that all the ingredients get soaked properly. Stir it make a fine paste. Apply this homemade pack on your face and neck. Leave it till it dries. Then rinse it off with Luke warm water. For better results, use it once a week to enjoy clear and radiant skin.